Don't wait to see this lovely stone front ranch style home! Inside there are 3 bedrooms, 2 full baths, 2 fireplaces, a fully finished lower level with sprawling family room, wet bar and plenty of room for a pool table, ping pong or gaming room. On the main floor is an awesome sunroom with window walls and a panoramic view of the property. Outside enjoy the stone hardscape, in ground swimming pool and oversized garage/shop for all your toys and outdoor projects. Additional amenities include hardwood floors, central air, garden shed and pool cabana. Situated on almost 4 acres this property offers the possibility of sub-dividing for a family member or separate building lot! 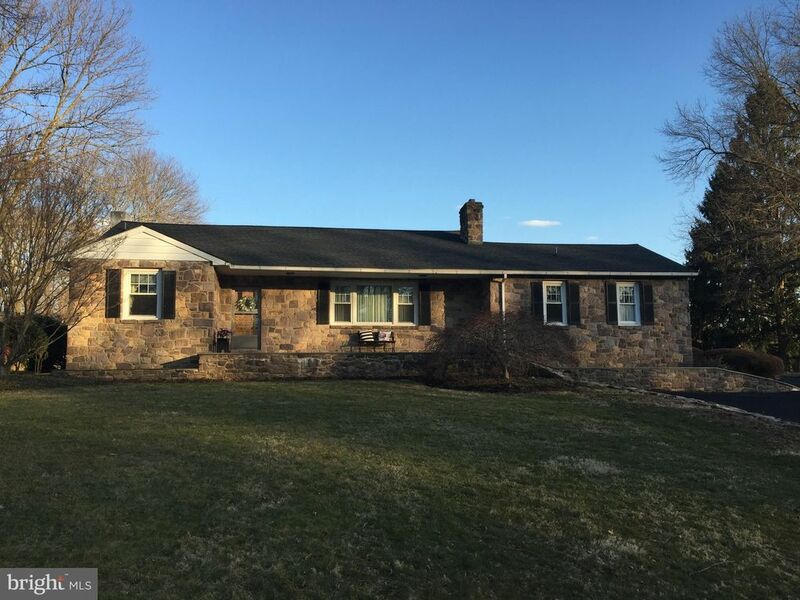 Located in Hilltown Township you are close to Doylestown, Perkasie, major highways, restaurants and shopping. Make your appointment today!